This article was first released on the Total Landlord Insurance webpage. Homeowners who decide to let out their property for the first time need to look into getting proper landlord housing insurance, an expert has said. With the current stagnation in the housing market and booming demand for rented accommodation from tenants, many homeowners are now opting to let out their property as an alternative to selling. However, Ian Potter, operations manager at the Association of Residential Lettings Agents, has advised those that take this option that there are a number of things they need to consider before becoming a landlord. One of the most important considerations is insurance, with most first-time landlords likely to find that their current home insurance does not cover them for lettings. “If the property has a tenancy and there is a fire for example, the insurance company can say ‘oh well it has a tenancy, we didn’t know that, we won’t pay out’, ” said Mr Potter. It might therefore be a wise move for those entering the lettings business to obtain several landlords insurance quotes to find a deal that suits them. Mr Potter also advised that legal advice to help deal with issues such as tenancy agreements could be necessary, pointing out that many people do not realise the legal complexities of letting property. 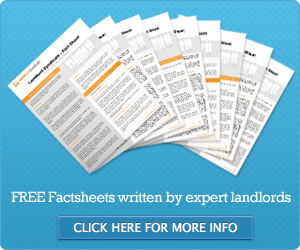 “The terms and conditions of a letting agent to let out your property can be 20 odd pages long. A tenancy agreement is probably going to be in excess of 15 pages long, so people are going in to legally binding contracts both with an agent or with a tenant,” he commented.